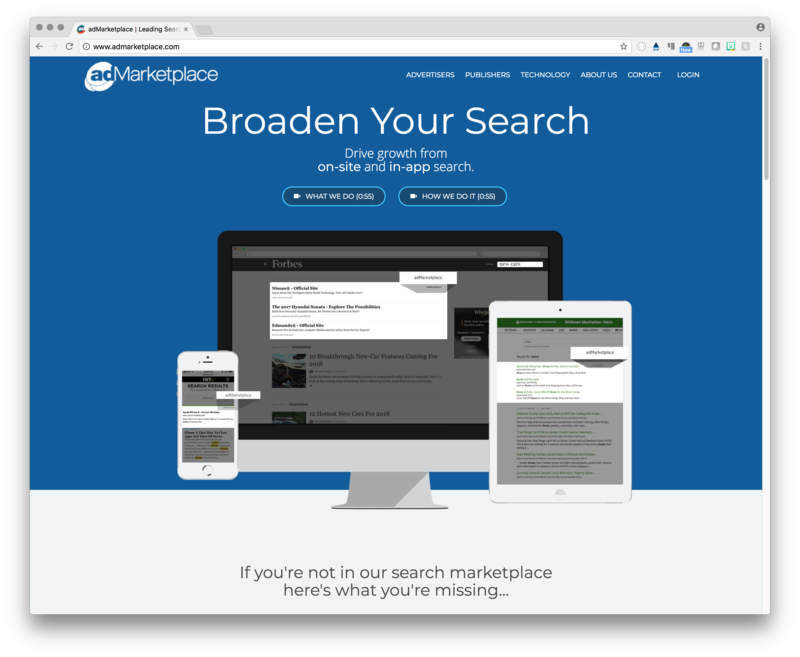 adMarketplace is a mid-sized ad tech firm specializing in first-party textual search advertising. Their campaign management and analytics systems had been cobbled together from ad hoc coded pages where data was uncorrelated causing insights and opportunities to be missed. The Advertiser 3D project aimed to deploy a new underlying data architecture on a more robust infrastructure, coupled with a complete reinvention of the data dashboards allowing a pivotal and integrated view of analytics while providing means to act on insights. As Director of Product, my role was to lead the entirety of the project, primarily focused on guiding user experience and product design, and correlating middleware and frontend components, maintaining the vision and mission of the project while performing continuous, incremental tactical delivery. Established goal – make data more accessible, highlight identified opportunities, create means of acting quickly, provide guardrails to prevent bad traffic and mitigate revenue losses. Primary to the initiative was flexibility across user groups and multiple means of performing actions in an effort to increase revenue and margin. Due to scale of it, the project was run in 4 groups: infrastructure, data management, middleware (API), and UI. 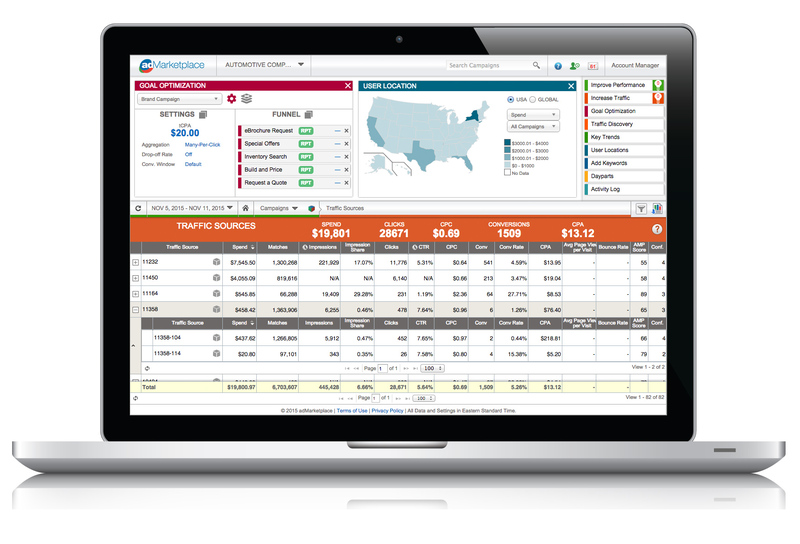 Since the dashboards were used mostly internally, research and interviews were done around 3 primary groups: demand account management (advertiser reps), traffic and supply control (publisher reps), and management (revenue and pricing). Once user journeys were established based on desired activities for each group, the team developed a methodology for easy identification of data sourcing using WCAG-conforming color patterns with a pivoting feature. Analyzing how people viewed data, a UI layout was developed that provided graphical dashboard widgets along with large data grids, combining direct action access with “export-import settings” features allowing users to perform large scale changes efficiently. Within 2 weeks of design sprints and with a basic UI wireframed, the frontend team began selecting frameworks and establishing atomic patterns and modularity while the middleware team interfaced with in-process data management to create a robust RESTful API layer for data acquisition. Rapid code prototypes allowed UX to work through widget development with appropriate user groups, while contained RPs (Axure-based) were used for larger grid interactions. Advertiser 3D was launched 10 months after initiation. Within 12 months, activities had increased revenues 26% YoY and margins by 10%, primarily through its ability to highlight opportunities and eliminate noise, allowing account managers to focus on the big picture of their accounts instead of constant stressing over the details. While the sheer quantity of data made mobile access (over smartphone) unfeasible, the need for 24-hour monitoring prompted the development of an app that provided the benefits of push notification alerts for activities nearing guardrail limits and ability to perform actions without primary UI access, all with multi-tiered security and accountability. For more information on Advertiser 3D or adMarketplace, visit their web site. You can also download a case study about the Advertiser 3D project.